All are frames are sold but you can still order one. 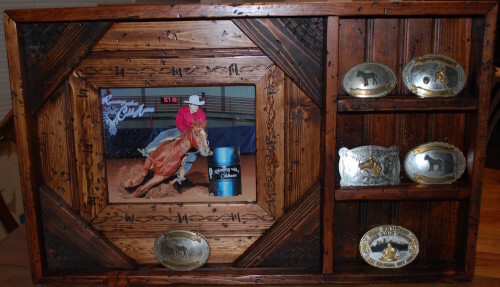 For more info on any frames or call or text (817) 202-7442. This is a sale so hurry before these frames are gone. Ask about a discount for ordering more than one! Click on any photo to enlarge it. Will hold up to 13 buckles if they are 4 inches wide or smaller. $95 + tax, shipping and handling.